Keeping the Brand’s above philosophy in mind, Skarma created an interactive social media strategy for Ice Cream Works to introduce the brand and engage with consumers. The idea was to spread the message that ICE CREAM WORKS indeed! 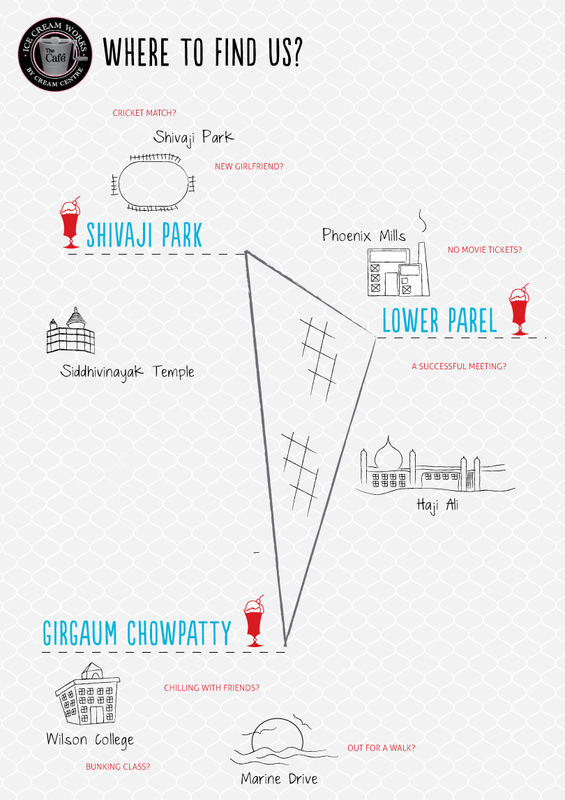 The ‘Locate Us’ collateral was created to inform viewers about the various locations of Ice Cream Works. The map was integrated with Google maps and allowed users to click on the location names as well as to see the exact location on Google maps. A separate tab was created that enabled easy access for the users to check locations. 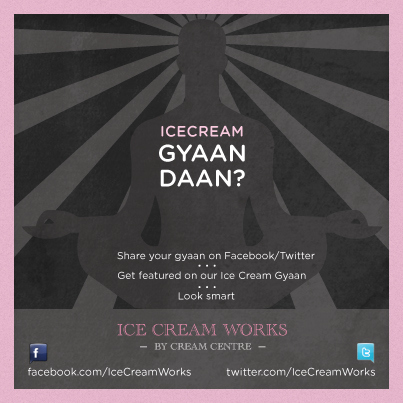 Ice Cream Gyaan was created to promote and share the culture of ice creams with Ice Cream Works audiences. Everybody has said something good to say about ice creams. This was an initiative to bring together all such ‘Gyaan’ together on one platform. Every Ice Cream Gyaan collateral gains 3000 impressions WITHOUT advertising. 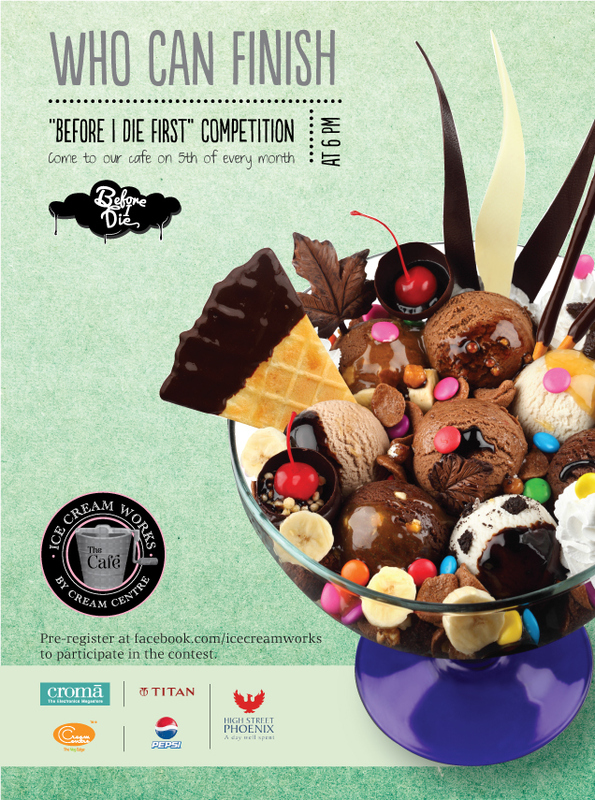 Launching of the Ice Cream Works brand required us to make audiences sit up to the brand. 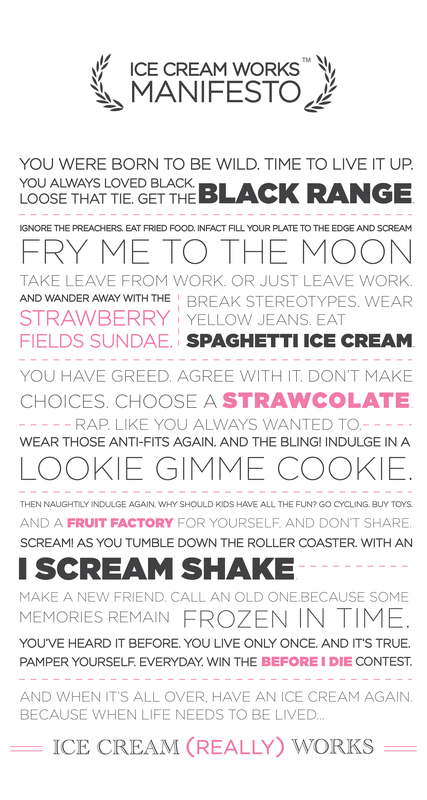 Skarma has created a manifesto for the brand that promotes Ice Cream Works as the missionary of good times and memories. It has created a communication pathway for the brand. Every statement of the manifesto has been converted into a collateral and is released one at a time. This allows for better understanding and build up to the complete manifesto. 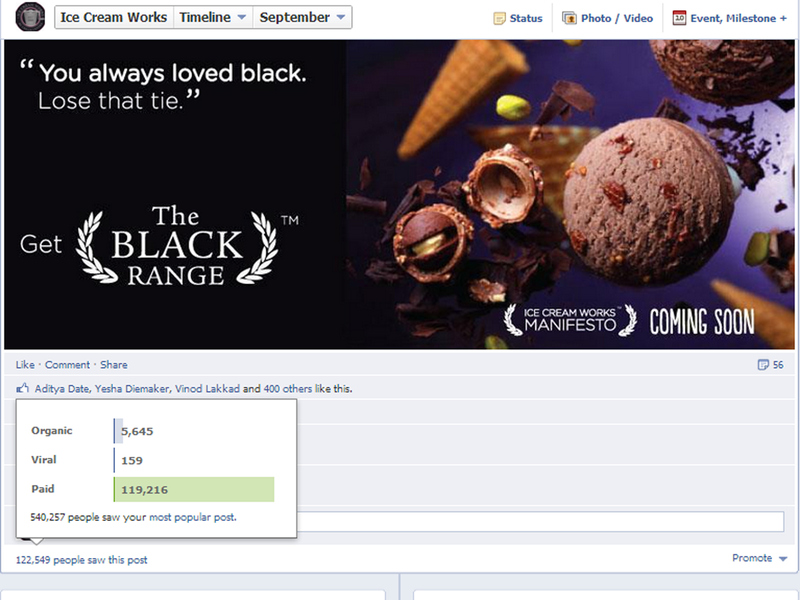 The first manifesto collateral was viewed by 122,549 people. 400+ people Liked it. In order to create offline engagement with audiences, ‘Before I Die’ competition was created. This required participants to finish the ‘Before I Die’ sundae first and win prizes. Registration for this competition was done only through Facebook. This competition has created more than a million impressions till now!